According to witnesses and reports, rapper Rick Ross was the target of a drive by shooting in Fort Lauderdale, FL this morning. NBC6 News reports that around 5:00 a.m, over 20 shots were fired at a Rolls Royce from another vehicle. 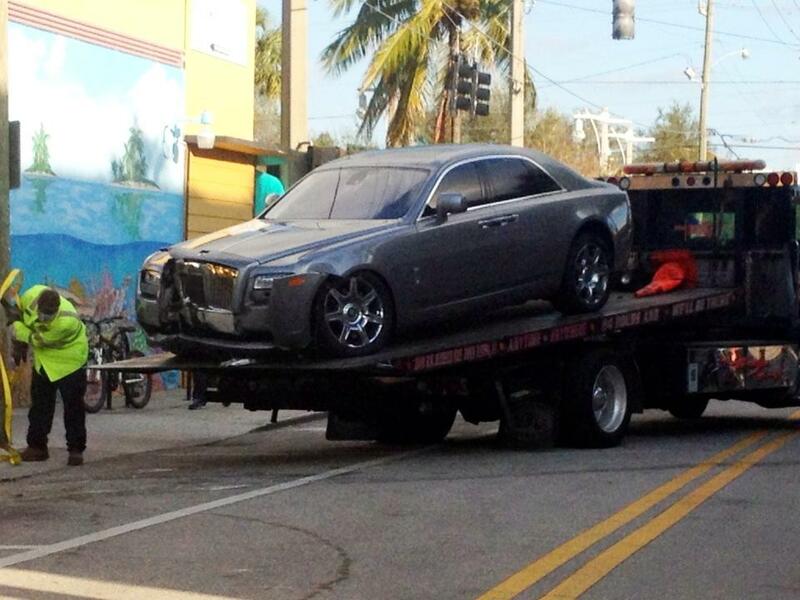 When the Rolls Royce tried to get away, the car crashed into a building on 311 SE 15th Avenue, just off Las Olas Blvd. According to the police, neither of the people inside of the Rolls Royce were injured. The names of the victims are not being officially released, but multiple reports claim that Rick Ross was inside the car. According to Local 10, a witness confirmed it was Ross, saying that he had recently bought a house in the area. Police are still looking for the gunman or gunmen. Update: Police have confirmed that Ross was driving the silver 2011 Rolls Royce with his passenger, 28-year-old Shateria L. Moragne-el. Neither Ross nor Morangne-el were injured in the shooting.